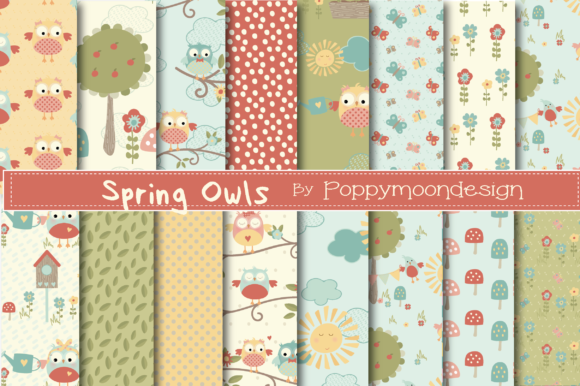 A sweet spring owls paper pack, created using a pastel color palette. Patterns include owls, butterflies, flowers and polka dots. 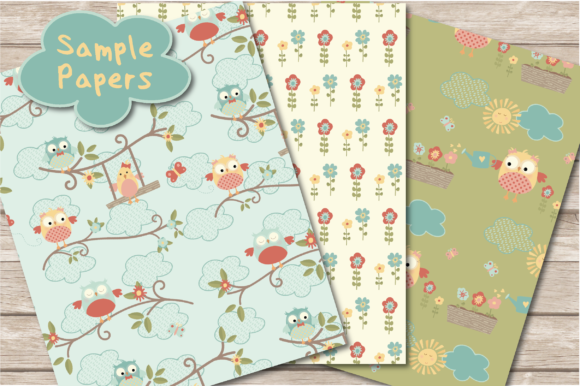 This pack includes 16 cute spring owls themed papers. Perfect for spring crafts, greeting cards and stationary, party invites and scrapbooking. Papers sheet size 12″ x 12″ file format JPG. Coordinating Spring owl clipart can be downloaded separate.